Recognized as one of the most influential and important poets of the Beat movement, Lawrence Ferlinghetti was born in Yonkers, New York on March 24, 1919. Shortly after his birth, Ferlinghetti's mother was committed to an asylum for the insane and the young boy was sent to France to be raised by a female relative. It wasn't until his return to America, at the age of five, that this future poet learned to speak English. 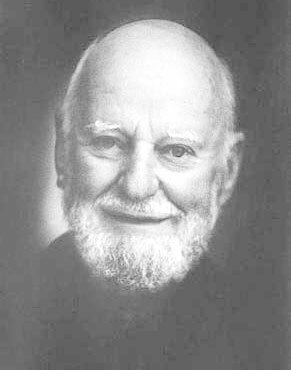 Ferlinghetti also began writing poetry during his years at boarding school in the late 1920's. During his adolescence, Lawrence not only became an Eagle Scout, an extremely prestigious feat in itself, but joined a street gang known as the "Parkway Road Pirates". It was his association with the latter group that led to an arrest for petty theft. Soon after, a woman by the name of Sally Bisland handed the troubled young man a copy of Baudelair poems and inspired within him a love for literature. After his graduation from high school, Ferlinghetti attended the University of North Carolina at Chapel Hill, where he enjoyed works by Hemingway, Faulkner, Dos Passos and Wolfe. He even began writing a novel inspired by Look Homeword, Angel. Many of his early years were spent living the life of the "Beat". On one occassion, Ferlinghetti and a couple of friends hitchhiked and hopped freight trains to Mexico while reading many of the popular poets of the period. Ferlinghetti then joined the Navy where he became a Lieutenant Commander. Six weeks after the dropping of the atomic bomb, Ferlinghetti was dischared and spent some time in Portland. The G.I. Bill, along with his interest in writers, had him furthering his studies at the Sorbonne in Paris. In 1952, Ferlinghetti became acquainted with Kenneth Rexroth. Rexroth had already established himself as a notable West Coast writer, artist and political activist. After meeting Peter Martin, the publisher of City Lights magazine, the two planned to open a bookshop by the same name. The City Lights bookstore of San Francisco soon became a mecca for writers and artists, many of them well established in the field of contemporary literaure. The movement was catapulted by readings from writers such as Michael McClure, Allen Ginsberg and Gary Snyder and became known as the "Beat" period. Perhaps one of the most volatile and creative times in post-modern literature, the Beat sub-culture today is looked back upon as a very glorious period. Ferlinghetti remains one of the most notable writers from those times and his writings are still widely read and appreciated today.